During the times when music videos were not yet popular, radio was definitely the best source of music for the common people. The radio popularized songs by playing these songs over and over again. But since the airplay for most songs were limited and were usually paid, most songs during the early days of pop music were short and barely 3 minutes in length. And the first long songs I ever heard was the song “Hey Jude” of Beatles and then the “American Pie.” You can check out the early songs of Beatles and Everly brothers to verify what I am saying. But What is a Pop Song? But what Turns a Song into a Popular Song? First, you should know the Evolution & Trend of Pop Songs! Choose the Genres for Your Pop Song! 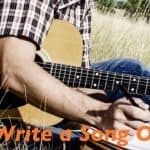 Find an Ideal Place to Write Your Song! A song becomes a pop song if it is known by many people. It may be popular to hundred thousand people, just like in the case of a song that is popularized in a regional radio station or it may be known to several billion people just like in the case of the “Gangnam Style” by Psy. So basically, there is no specific number of people required for a song to be considered a pop song as long as it has a big hook and the possibility of becoming known by many people. The pop song is the primary element of pop music. It makes pop music sing-able and understandable. It is also the most common genre that we can hear today on radios, television, and internet. Most pop songs are short to medium length songs composed mainly of verse-chorus, and repeated choruses. 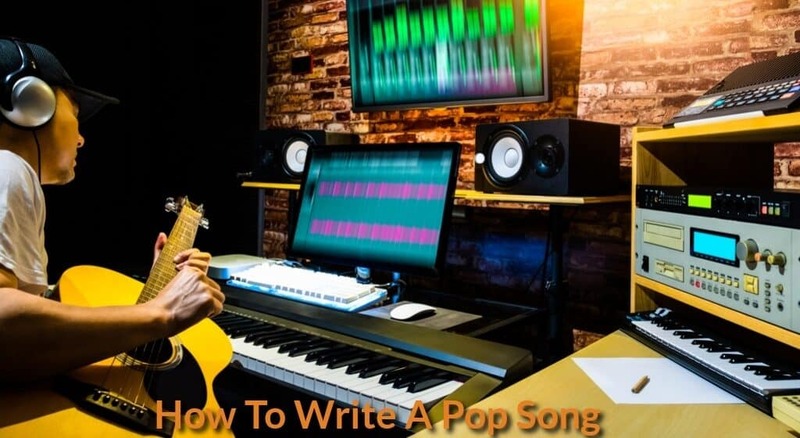 The meaning of pop song is “popular song,” and for this reason, the very measuring rod of a popular song is its popularity. To be popular, a song should touch the hearts and minds of its audience. It should be liked by many people and should touch their emotions, and make them dance or sing. Hence, as long as a song has a potential to be liked and known by many people, it could be considered a pop song. This is very succinct advice that you should take heed of. There are different music genres, and if you are serious about becoming a songwriter, you need to be cognizant of these different music genres. To know the pop songs of the past, you need to Google them and check on the number one songs on the Billboard and UK Chart since the 1950s. This will allow you to get a holistic picture of the evolution of popular music. Of course, while you are doing this, you will discover the songs of Frank Sinatra, Buddy Holly, Elvis Presley, Bob Dylan, The Beatles, Everly Brothers, the Beach Boys, Rolling Stones, Don McClean, Simon and Garfunkel, Queen, Led Zeppelin, Tears for Fears, Spandau Ballet, Metallica, Backstreet Boys, Whitney Houston, and many more. Knowing how pop music evolved in the recent times would give you an in-depth realization that there are many musical genres. Every genre can produce a pop song or a mainstream song if this song becomes popular to a broader listening audience. Choosing the right genre to write about is very important. A song can become a pop song even if it doesn’t have the genres that are generally considered pop. As long as your song reaches a broader audience beyond its border of origin, it will surely be categorized as a popular song. Of course, the songs of Tears for Fears were classified as New Wave, and before the New Wave songs became popular songs, these songs were only marginalized songs liked only by few new wave fans. But boom! They hit the mainstream market, and slowly, the new wave songs became pop songs. Songs are like novels; you need to use your mind and emotion when writing a song. You need to find the right melody and lyrics to ensure that your song has the necessary hook, groove, and appeal. But before you can do that, you must sit down, think, and write your own lyrics and invent new melodies. Songs have a basic structure. It has a chorus which is necessary for a song. It also has stanzas, bridge, interlude, and other parts that make a song complete. Hence, you should structure your song basing it on the structures of all popular songs of the past. You can also improvise, but it is challenging to innovate and create your own genre. But if you can do it, it would surely be stupendous. You got to find a place to write, away from the annoying distractions. However, even if you are in the subway or around many people, you can start creating your own song in your mind. If you are the kind of person who easily forgets melodies, you must always have a recorder at hand. You can hum your melody on the recorder and go back to it later when you are ready to put lyrics to it. The popular song of the 70s, “Take a Chance on Me,” by ABBA was written by Benny Anderson and Björn Ulvaeus. But it was Ulvaeus who got the rhythm and melody while he was jogging. Hence, songwriting usually occurs in unexpected places! What I am saying is that you can create your own pop song anywhere and anytime as long as you are inspired. But in the actual polishing of the song, you have to sit down and brainstorm to complete the lyrics and melody of the song. There are basically two methods of writing a popular song. You can either start with writing the lyrics, and then think of a melody for those lyrics. My bandmate usually follows this method of writing a song, and I admire his method because it produces really good songs. On the other hand, you can create your own pop song by first thinking of a melody. Once you’ve got a melody, you can then write lyrics to fit that melody. This is my method of writing songs, and this method enabled me to cop out several beautiful songs. 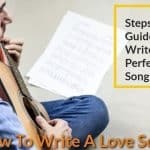 You can combine these methods to create your own pop song, and in some instances, you can begin with the lyrics, and in some other cases, you can begin with the melody. 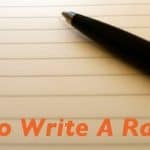 To be able to write good lyrics, you need to have a good outline of what you want to write. Please start with a storyline. From the 1960’s up to the 1990’s, most written pop songs have a story to tell, although occasionally, a song would pop into the chart that has gibberish lyrics making you wonder how the hell the song got to the chart. But upon closer scrutiny, you would notice that it is not so much the lyrics of the song that made the song popular, but the groove or the recall factor of the chorus that made it widely famous. Sometimes, you would hear popular a song whose just talks balderdash and babbles incoherent words. Yet, the song reaches the Top 10 of Billboard. On a closer look, you would notice that the song, although meaningless is danceable, and hence, it became popular. But good lyrics are really a plus factor when making a popular song, and if people could relate to your lyrics, your song would inevitably hit a sensitive chord on your listeners’ heart. If you are not a classically-trained musician, you will find it challenging to write songs using notes. More often, you will only use chords to accompany your pop song. There are patented chords that have produced great popular songs. The D-A-G-A chord pattern, for example, has produced great popular songs that are timeless. The C-G-Cm-F chord progression likewise is a great chord pattern. Some tremendous popular songs like the “Let it Be” follow this chord patterns. Hence, you need not be very good with classical music. As long as you know the basic chord patterns, you can create great melodies. You can also follow some great guitar hooks. You can employ a piano or guitar lick and make it your basis in writing the melody or chords of your song, and this would be very helpful. You should also equip your song with a good groove. You can use the short four-bar loop or eight-bar loop. Your song should also have enough groove to captivate your audience. You would let your fellow musicians listen to your newly written song and sometimes you would get the shock of your lifetime upon hearing the criticism hurled at your work of art. It is but natural to hear negative criticism sometimes, but more often, they will give you constructive criticisms. You can learn from such criticisms. Others would sometimes try to cajole into thinking that you need to tweak a word or two or change the chord progression of your chorus. 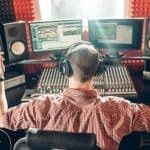 But these criticisms can surely give you a new slant on how to enhance your song to make it ready for public listening, especially, if the criticism comes from a well-respected expert in songwriting. Always remember that criticisms, whether they are good or bad, are always a welcome thing for most musical artists.